I’m Taking the #CentsAbility 30-day Challenge – Join Me! What is the #CentsAbility 30-day Challenge and how do I join? I religiously measured my savings and earnings for my first few years after leaving the traditional workforce but haven’t taken a close look at the dollar value of my frugality lately. The lure of going back to “work in the city” is becoming more & more tempting now that both kids are in school full-time and it’s time for me to re-assess whether or not my Save-at-Home-Mom lifestyle is still the wisest budget choice for our family. I firmly believe in the adage “what gets measured gets managed” and I’m ready to measure my savings, manage my spending, and get inspired by other savvy peeps with #CentsAbility! 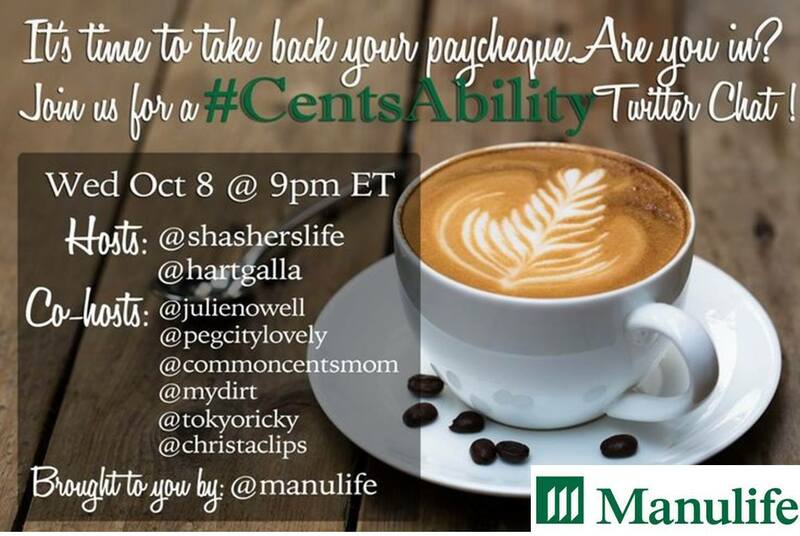 All challenge participants are invited to join the #CentsAbilityTwitter Chat sponsored by Manulife on Wednesday, October 8, 2014 from 9-10pm ET. It’ll be a fun chance to connect with other money-minded folk, share our our savings tally-to-date, and laugh together at the splurges we just haven’t been able to give up yet! Pumpkin latte season is just about here – help! Posted on September 22, 2014, in Christa Clips, Savvy Shopping and tagged #CentsAbility, Christa Clips, Daily Saving Challenge. Bookmark the permalink. 3 Comments.